So you’ve read my super popular (and super copied around the web!) article about the ten reasons why you should travel to Iran now and you’ve finally booked that ticket. If you are traveling to Iran’s most popular tourist destinations such as Isfahan, Yazd or Persepolis, or you have a booked tour, you won’t have any problem since either your guide or you are likely to find people speaking English, but if you are a solo traveler and you like more offbeat paths, some knowledge of Persian language (Farsi) and common phrases will be very helpful during your trip. While Iran certainly is one of the hottest destinations at the moment, these tips in Farsi can be used in Afghanistan too, where they speak Dari, which is Farsi with a different accent and some different expressions. Even though much less popular, always more people are longing to visit the fascinating central Asian country, and since it’s a war zone, it comes particularly useful to speak some Persian language to better blend with locals. You can also carry with you some dictionary/phrasebook or even a small course. Click here to see some offers on handy Farsi (Persian) Phrasebook & Dictionary, English-Persian Dictionary or a Farsi (Persian) for Beginners course to familiarize yourself a little with the language. 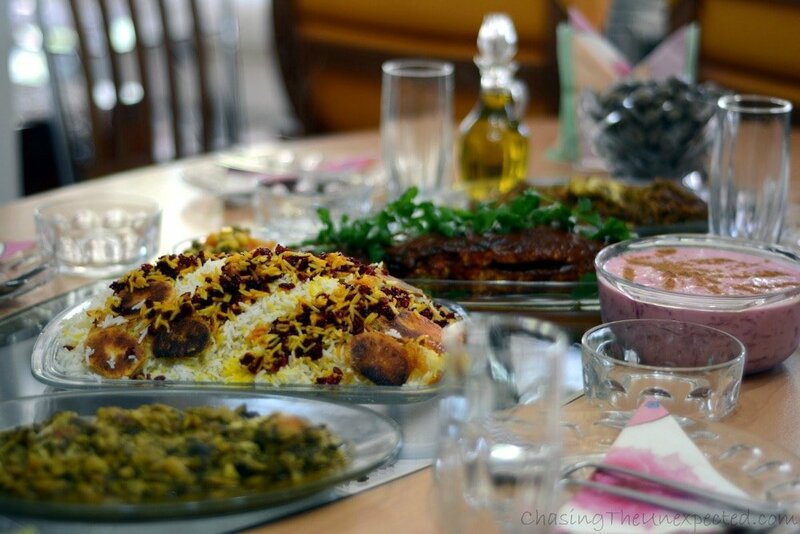 Wherever you go and whatever attraction you will visit, for sure you will stop somewhere to eat, so here are some tips in the Persian language useful in restaurants. Since for Westerners Farsi is not easy to grab, as it also has a different alphabet (Arabic), alongside the English pronunciation and translation, I will also mention the transcription in Farsi alphabet. First of all, please consider that not all menus have an English translation so it’s good to be ready to order in Persian. As soon as you enter, you will be greeted by the waiters more or less with a Salam, khosh omadin (hello, welcome), and your reply can be a simple mamnoon (thank you). You can start ordering your meal by asking for a bottle of water: yek botery ab in Iran, yek botel ab in Afghanistan. Among the other drinks, there are: coke (coca cola), Pepsi, Fanta, orange juice (ab porteghal – آب پرتقال), tea (chai – چای) and dough (دوغ), a drink made with yogurt, water, salt and mint that Iranians and Afghans often have with their meal. They all come with either bread or rice and some spit-roasted tomatoes and some pickles. Moreover, here is a list few vegetarian foods/dishes/ingredients used mainly as side dishes or for dressing that you can find in many Iranian/Afghan restaurants. If you know these practical words, you can at least order an ordinary meal in the Persian language, and if you are not a vegetarian, rest assured that you are in the heaven of kebabs and different types of cooked meat. Now you’re ready to go, noosh jan (enjoy your meal)! Grazie Domenico, Your food is delizioso too. Helpful read here. And the veggie options are looking OK. Better than Central America. For sure. I eat meat but usually go veggie and wifey has been a vegetarian for 12 years. We travel just about anywhere but if it’s long term sure as heck helps to know we have vegetarian fare to sink our teeth into. Very helpful post, Angela! 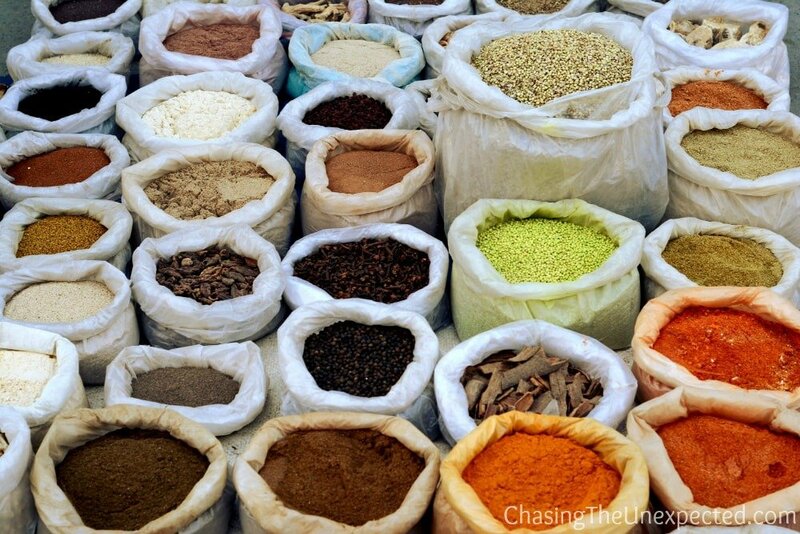 I inserted a link in my post about Visiting Iran as a Woman because it is really helpful. Thanks Geri, glad you found it useful for your readers, more Farsi tips coming soon!